Already operative is a website where citizens can submit questions to national and local authorities. Another program, started in 2014, trains volunteers and journalists in monitoring public spending and the integrity of public servants. Both programs aim to promote open government and combat corruption. The promoter of the projects is the Romanian Academic Society, SAR, in alliance with several other organizations particularly concerned with the preservation of the cultural heritage of Romania and its capital city, Bucharest. 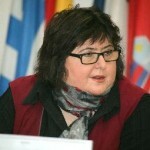 Founded in 1995, SAR is chaired by Alina Mungiu Pippidi, a well-known activist. Today she is professor of democracy studies at the Hertie School of Governance in Berlin. Dr. Pippidi has written a large number of scholarly works on democratic culture and problems of corruption. SAR and its national and international partners have received 200,870 euros, equivalent to $216,902, for information and training activities for a two-year period. The donor agency is the EEA Grants program set up by Norway, Iceland and Liechtenstein. Among the partners is the Norwegian Neighborhood Federation, VFO, whose membership consists of local voluntary associations with close links to municipal government. One way to promote open government is to make it easier for people to put forward questions and complaints. One of SAR’s initiatives is to establish a website to enable citizens to express their concerns to national and local agencies. The portal services include the proper formatting of letters and the monitoring of replies. The initial response has been discouraging. Only 15 percent of the letters received replies, showing that Romanian public administration still has a long way to go to respond properly to citizen concerns. For volunteers and journalists, the project has provided a handbook in good governance and training opportunities for monitoring government activities. Many of the volunteers have recently graduated from university, often with a personal involvement in environmental and humanitarian issues such as relief work for Syrian refugees arriving in Romania. At a recent training seminar in the small town outside Bucharest, participants paid particular attention to the public procurement process, which is often plagued by mismanagement and corruption. Although now there are fewer situations than before where the tendering process resulted in a single bid without competitors, yet more difficult to unravel are bids where nominal competitors collude to undermine the bidding process. Conflicts of interest between public officials and business interests are also common. Although this particular program seems quite small, it should be seen in the context of Romania’s recent agreement with the European Union to engage in administrative reform. A task force has been established with a member representing SAR. Brussels still has power over important incentives for reform such as admission to the Schengen passport area and the eurozone. Author: ASPA member Harald Koht, Ph.D. has 40 years of experience working for government in Norway. He taught public administration and politics at the University of Latvia for more than 10 years and been a guest lecturer at universities in Germany, Lithuania and the United States. Harold received his Ph.D. in public administration at American University and has published widely on services to children and the elderly, local government and governmental investigation commissions. He can be reached at [email protected]. Delighted to meet more of our friends in Europe, which is still new in the US as the European Union with laws that affect all the member nations (e.g., movement across nation-state lines, sustainable policies and poverty) and new human rights attorneys involved in the enlargement. The UN Convention on the Rights of Persons with Disabilities (UN, 2006) and the Sustainable Development Goals (SDGs) affect all of us and provide a common bond for the future.